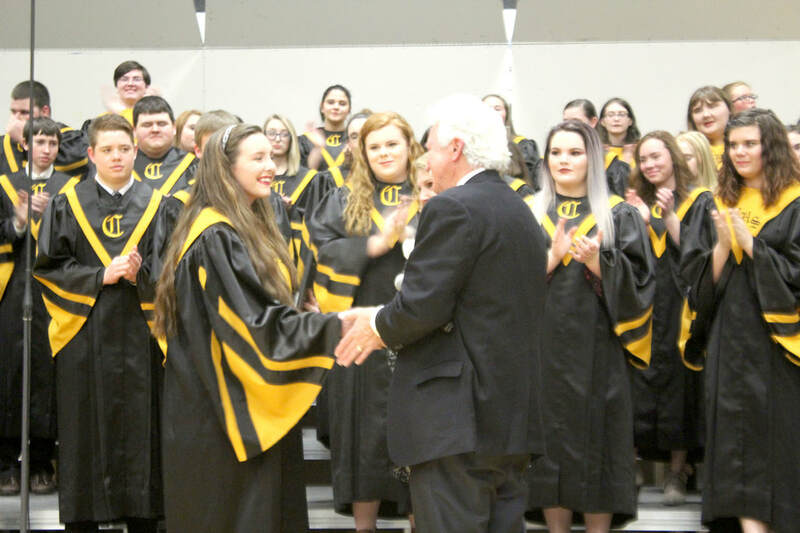 Dr. Russell Robinson, former music teacher for Cassville Schools and now a renowned conductor and composer, returned to direct the Cassville choirs at a concert on Monday night, April 9, and present the first Russell Robinson Music Education Scholarship. Dr. Robinson presented the first ever scholarship to senior Emily Sink, pictured above receiving the award. The scholarship is set up to hand out a $2,000 scholarship every year to a graduating senior going into music education for the next 20 years. 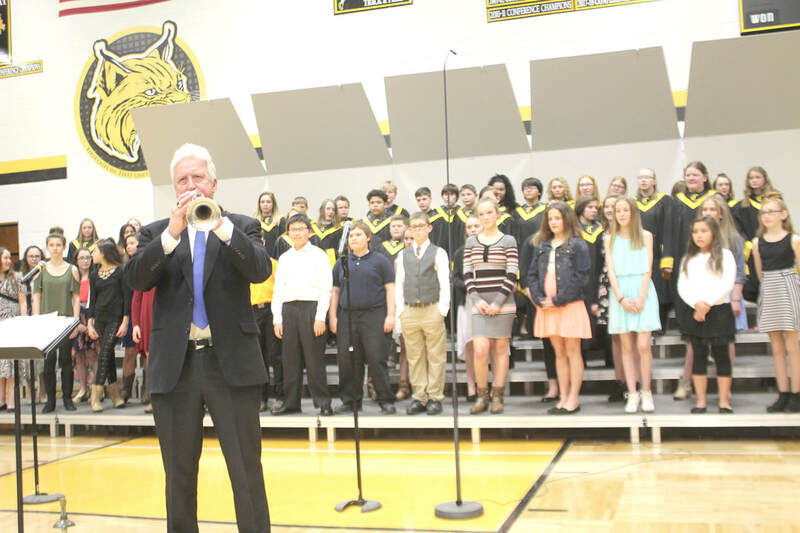 Dr. Robinson directed all of the Cassville choirs during the concert on Monday night. He also played the trumpet during the 6th, 7th and 8th grade choir’s performance.